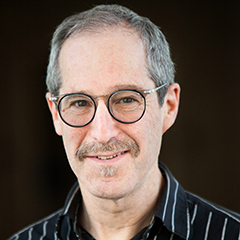 Michael Honig is a professor of electrical engineering and computer science at Northwestern University, where he teaches in the Master of Science in Information Technology (MSIT) program. Honig has long had a passion for electrical engineering — he has a B.S. in Electrical Engineering from Stanford and a M.S. and Ph.D. in electrical engineering from the University of California, Berkeley. For more than 20 years, he’s taught Northwestern students about communications, signal processing and networks. He currently teaches a wireless technologies course in the MSIT program called Fundamentals of Communication Systems that provides an overview of the technical concepts behind mobile, cellular and emerging wireless personal communications services. Honig took time to talk about his class, his research interests and what he thinks differentiates MSIT from other comparable programs. How do you describe your research interests to someone with little to no engineering experience? Most of my work has been on wireless communications and networks, mainly how to generate the signal to be transmitted, how to extract the message at the receiver, and how to coordinate communications among many users in a network. Two of the main challenges are how to deal with signal variations due to mobility and interference. This involves quite a bit of mathematical modeling to describe how the signals are generated and processed (e.g., via different types of algorithms). What is the biggest concept that you hope students take away from your Fundamentals of Communication Systems course? I hope they have a broad sense of how and why wireless systems have developed the way they have over the past few decades. This is both from a standards point of view (mainly cellular, WiFi, and Bluetooth) and from a technical point of view, such as the trend to use wider bandwidths and the ways in which interference is controlled. What is one thing that you think would surprise the general public about wireless communications? It's complicated! Or, at least the degree of complication may surprise most people that have not looked into this. There are hundreds of thousands of patents in a cell phone. The signal processing, coding and decoding algorithms, and computing capabilities of a smartphone today have taken decades of fundamental research to develop. In fact, it took about 50 years to invent and develop the coding and decoding methods used in smartphones today, which come very close to fundamental performance limits set by Claude Shannon in the 1940's — an intellectual achievement that is perhaps under appreciated by the general public. That’s not to mention what goes on in the core of the network to manage the deluge of traffic generated by these devices. Another thing that would likely surprise people is that Hedi Lamarr, the 1930's movie star, has one of the first patents on frequency hopping, although that may not be such a surprise anymore given the Netflix documentary on her that came out last year. What do you enjoy most about being involved with MSIT? The students are generally highly motivated, engaged and genuinely interested in the curriculum. That is what makes teaching fun. I also enjoy the chance to learn from the students — they have a wide breadth of backgrounds, experience and perspectives, which makes teaching both challenging and stimulating. How do you think the MSIT program differentiates itself from other competitor programs? I have always seen MSIT as unique in the way technical material is presented and the mix of technical and management material in the curriculum. Roughly speaking, MSIT falls in between a graduate engineering program and an MBA. 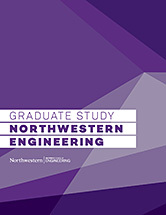 Whereas a graduate engineering program is targeted towards design and development, in MSIT, technical material is presented at a level that does not sacrifice basic concepts, but is more appropriate for those not directly involved in engineering design and development, such as IT managers. Also, the emphasis of the program is more toward the technical side than the management side, distinguishing it from an MBA.